A car is an electrical system that operates with the help of some essential components. These include batteries, alternators and fuses. Failure of any one of these parts may stop the working of the car or it may give very poor performance. Unfortunately, it is quite difficult to find which part is creating the problem and what is the main reason behind that. One has to examine all mechanism of the automobile in order to discover out the real trouble. This includes all characteristics of components and outlining of certain maintenance options for proper diagnosis. 1. Batteries – When any car does not start, its battery’s performance is blamed because this is the most crucial piece. Most of the automobiles are equipped with batteries that are sealed and maintenance free. This does not mean that nothing can happen to it but they require quite lees repairs. The building of corrosion on various terminals may cause failure thus fresh them with a wire brush remove them and then reattach them. Apply some lubricant to these cables in order to avoid future corrosion. If it is not maintenance free, use distilled water as per requirement in each cell. The use of high quality jumper cables is a good idea to start the car. It still one is encountering with starting problems it means the battery is completely shot. In such kind of situation the replacement is the only way left because machinery has certain life. 2. Alternators – The problems related to this part are noticed when one realize that headlights’ performance is reduced. When one is not able to see the things in front of the car, it means it has to be checked properly. A proper check of the wires associated with the Alternator is required to ensure that they are corrosion free and secure. One must carefully examine the cracks for tension free driving. If the headlights are still not working properly than replace Alternator with the help of a qualified technician. 3. Fuses – If the back blinker has stopped working but dash lights are still working, this electrical problem is related with the fuses. One can pull off this component that is generally located below the dashboard and test to find out the burnt out fuse. The car models available nowadays use fuses with blade styles that are transparent and rectangular. Try to observe each and every fuse very carefully and check for any burnt out internal wire. If these are labeled by the auto manufacturer with a circuit label, it becomes really easier to find the burnt out ones. If it is not so than one has to resolve the case by elimination process that helps in finding out the failed fuse and replace it. Fuses and Batteries are extensively available at various supply stores that offers wide alternatives to select from. One can save a huge amount of moneys by selecting the most suitable car component at affordable price level. There are many online providers offering some great discount to their customers, one can take advantage from. Shop with those stores providing wide inventory to select from, best prices, prompt shipping and outstanding return policies. When asked to write an article about automotive car insurance I was not quite sure how to fit in all of the information the average consumer would need. The average insurance policy is written in such dense language that many people walk out of the auto insurance agency without any idea of what they have just purchased. With that in mind I will answer a few of the most common questions people have about their policies. The first thing I have found is that many people are not aware of what their car insurance limits are. Quite simply these are the limits the auto insurance will pay out on a per accident basis. They are typically written like this; 50/100/50. This means the company will pay our $50,000 to one person injured in an accident, $100,000 to all people injured in an accident, and $50,000 in damages to someone else’s property per accident. Any costs that exceed your coverage limit will likely be your responsibility. The next thing that I am often asked is just how the rates are set. This is a bit tricky because different states have different regulations regarding insurance rates. In most cases the insurance companies set their rates based on several decades worth of auto accident reports. They then figure out if you are statistically likely to be in accident or not and give you a quote based on this information. The quote is will not be the same from every insurance carrier and this is because they all use different statistical formulas to assign risk. So if one company figures you to be a higher risk than another their quote will be the higher priced of the two. This is why comparison shopping for auto insurance will save you money. The more quotes you request the more likely it is you will get on from a company that feels you are at a lower risk to be an accident. Automotive car insurance can be tricky, but remember; if you are a savvy consumer who asks all the right questions before a purchase then you will be far likelier to get he best rate that you currently qualify for. I see that you are considering starting an automotive car detailing company and that is a good choice because there are over 250 million cars in the United States of America in each year automakers sell another 17 million cars throughout our country. Let’s face it we are a car nation and therefore it makes sense if you’re going to start a small business of you’re own or a home based business you will want to start a company where you could have lots of customers. Since everyone owns a car it makes sense to start in automotive car detailing company. But you need to consider a strategy of which type of customers you’re going to go after and how best to market to those customers. Often we see new automotive car detailing companies buying expensive phonebook ads and this is unfortunate because your best customers always come from referrals or friends of friends. It takes a while to get the hang of car detailing because each car is a little different, but eventually you can become a master of the trade. There are two types of main customers in auto car detailing; there is the wholesale detail customer like car lots and auto dealerships and there is the customer who is a private party who owns a very expensive car and wants to keep it in pristine shape. The going rate for wholesale auto detailing for car dealerships is between 50 and $75. But the average going rate for detailing for private parties can be his high as $100 to $200. Now you can see why so many people want to get into the automotive car detailing business and start a business in automotive car detailing of their own. Car accessories are as important as the Car Leasing. They play an important role in making the car smooth and comfortable and adds class to the car. Majorly due to the class factor, the car markets all over the world are flooded with automotive car accessories. There are also different varieties of car parts flooding the market. They can be anything from shift knobs, steering wheels, roof racks, music decks, spare bulbs and so on. For instance, if one wishes to attract attention to tires of a car, they can use those shiny rims which are extremely stylish and modern. It makes the car look attractive and irresistible. Another instance is the headlights. These days, the L.E.D headlights have become a rage in the most category of automotive car parts. If one likes to attract attention to one’s car, this headlight will play a huge role in that. They illuminate the way through either dusty or foggy weather. These lights are useful irrespective of if one is crushing the narrow city roads or the highways. Most car owners concentrate on the exterior accessories of a car. What they do not realize is, the interior of a car is just as important. Without great interiors, a car is just like a delicious candy wrapper without the candy inside. Such a car can do not draw much attention or attraction. There is a comprehensive range of accessories designed for both, the interiors and the exterior of a car. There are many accessories customized to meet the needs of different makes and designs of cars. There is no shortage of interior automotive car accessories either. 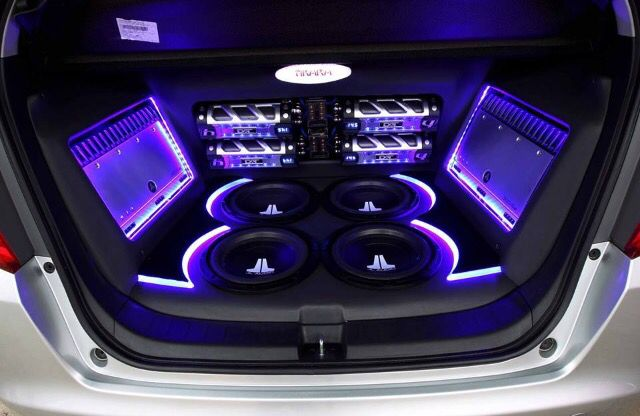 For instance, the sound system in an automobile is called a discount audio system. The audio system is usually in the form of an audio player or a CD player or a tape player. At times it can also be a video player. The sound system is, at times also called the Head Unit. The audio system has undergone a lot of changes, too. Before stereo radio had hit the markets, cars usually had an audio system which was located on a dashboard. Some cars even have amplifiers and they add volume to the beat. There are other additions which can add to the attractive quotient to one’s car. For instance, there are steering wheel covers in smooth leather material which add or at least convey the idea of luxury and classiness. It also feels comfortable and soft under the hands. Then there are gear knobs which can be accessorized as per one’s taste and choice. One can use aluminum plated gear, it adds great shine and it may also divert a by stander’s attention away from other less attractive aspects of the car. Adding automotive car accessories can give a personal and homely touch to the car. For instance, the car floor can also have carpets, just like the carpet in one’s house. There are car seat covers and mats which are available in different sizes and colors. Visit AutoVillage.co.uk for sure.